Using the Smashbox Covershot Ablaze eye-shadow palette, I used the deep plum shade of Nirvana on the outer crease, and really blended it out. From the same palette, I used the dark brown shade Dark Horse in the inner crease, and blended into my lid area. On my lids, I patted on the shimmery gold shade ‘Famous’ from the brand new Too Faced Chocolate Gold eye-shadow palette. Click here for more details on this. I completed the look by drawing out a thick, bold eyeliner flick using the Kat Von D Tattoo Eyeliner. I used the Tarte Cosmetics Amazonian Clay 12 Hour Full Coverage Foundation. I love this foundation as a) its enriched with skin-loving ingredients, b) it looks pretty natural sans that heavy made-up feel and c) it even has an SPF protection of 15! I used the gorgeous Tarte Cosmetics Park Avenue Princess Chisel Palette to contour my cheekbones. Click here for more details on this. I completed the look by highlighting with my favorite gold shade Becca Cosmetics Shimmering Skin Perfector Pressed in Gold Pop. I used the the Fenty Beauty Stunna Lip Paint in Uncensored. The color may not last on me as long as Rihanna promises, but what a gorgeous, bright red it is! My outfit is by celebrity Indian fashion designer Vikram Phadnis. Bought this heavily brocaded skirt and top combo nearly 2 years ago. I had the top stitched into a jacket style for more versatility. 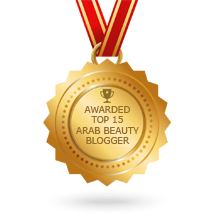 Posted in Beauty, DIY Beauty, Product Reviews and tagged Beauty, dubai, Eid Makeup, makeup, sephora, Sephora Middle East. Bookmark the permalink. I really need to try that chocolate palette by two faced!! Teezy thanks a lot for post this seriously loved this post i must need to try this Too Faced Chocolate Gold i really loved…can u please let me more information and price details about this product! Thanks so much Jacqueline! So glad you liked the post. The Too Faced Chocolate Gold eyeshadow palette is from Sephora, and retails for AED 283. You can buy it online as well on http://www.sephora.ae if you are living in the UAE. Hope you enjoy it!